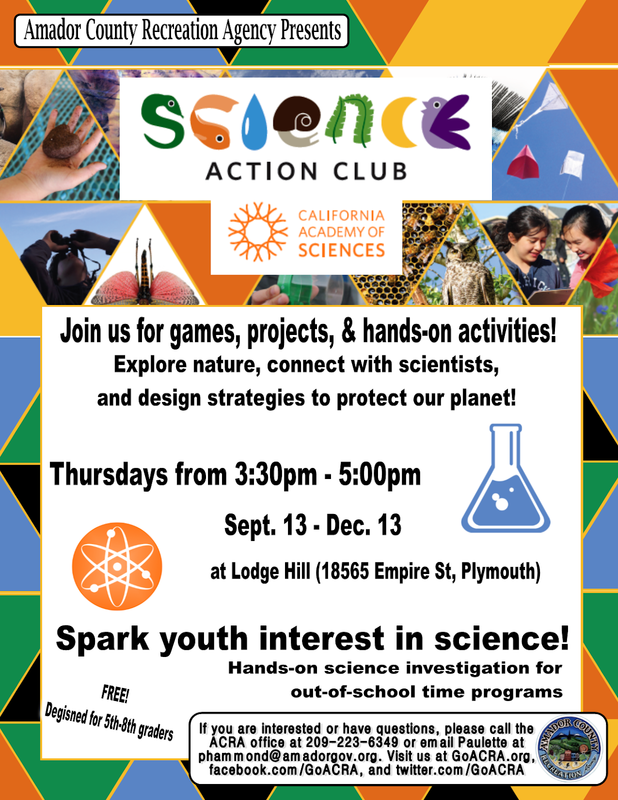 A program for grades 5-8 to explore science with games, projects, and hands-on activities. For more information, please call the ACRA office at 209-223-6349, email Paulette at phammond@amadorgov.org, or message our Facebook page at facebook.com/goacra. Visit our website at GoACRA.org.